Polish author Olga Tokarczuk has won the 2018 Man Booker International Prize for Flights (trans by Jennifer Croft, Text). Tokarczuk and Croft will each receive £25,000 (A$44,330), as well as a further £1000 (A$1770) for being shortlisted. Each of the other shortlisted authors and translators will also receive £1000. 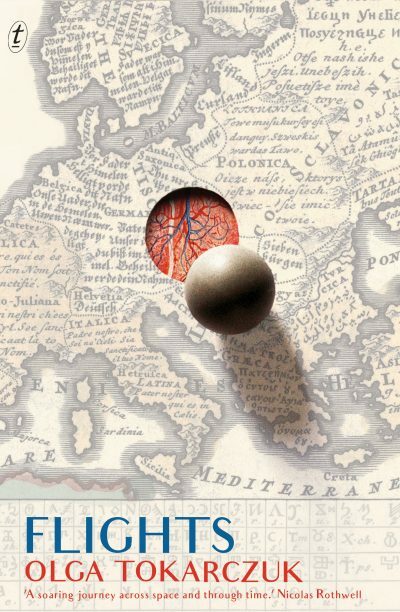 Chosen from a shortlist of six, Flights is a novel of linked fragments, from the 17th century to the present day, connected by themes of travel and human anatomy.